Is your Mac running low on space and you want to move your iPhone, iPad, or iPod backups to an external drive instead of your Mac’s internal drive? Are you wondering if it’s possible to back up iPhone to an external drive? Well, the good news is that it is indeed possible. 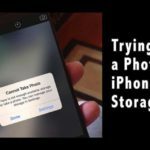 Learn how to change your storage location today! 3 Are you Using macOS Mojave or Above? 6 Backup to External Drive Not Working? You can always back up to iCloud–and we recommend doing it. But we also think backing up to another location via iTunes is a good idea. The chances are that your iPhone or other iDevice is larger than the paltry 5GB iCloud account Apple offers for free. You could upgrade your iCloud account to the larger plans starting at USD .99/month (USD 11.88/year) for 50GB. So why not utilize all that free space you probably have on an external hard drive to backup your iPhone, iPad, or another iDevice instead? Or should I say, use an external drive in addition to that free or paid iCloud account! At Apple ToolBox, we recommend always having multiple backups of your iDevices. 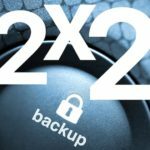 Ideally, we all should have at least two backups minimum—1 on the cloud and one on an internal or external drive. The best of all approach is to have two local and two clouds. Why? Because you never know—like humans, things fall apart and fail, a crisis happens, disasters strike. So let’s be proactive and take an eyes-wide-open approach by backing up 2X2. Upgrading To a New iPhone, Should I Encrypt Backups? I always back up my iPhone and iPad locally via iTunes. But it drives me crazy that I don’t get to decide which folder to use for my backup. And since I don’t get to control that, I don’t have the option to save it to an external drive. And that just darn buggers me! You can of course manually backup your iTunes backup by finding the backup folder and dragging it to your external HD each time you backup. But what a pain! If you find yourself annoyed enough, like I am, then Apple Terminal is here to the rescue. Are you Using macOS Mojave or Above? 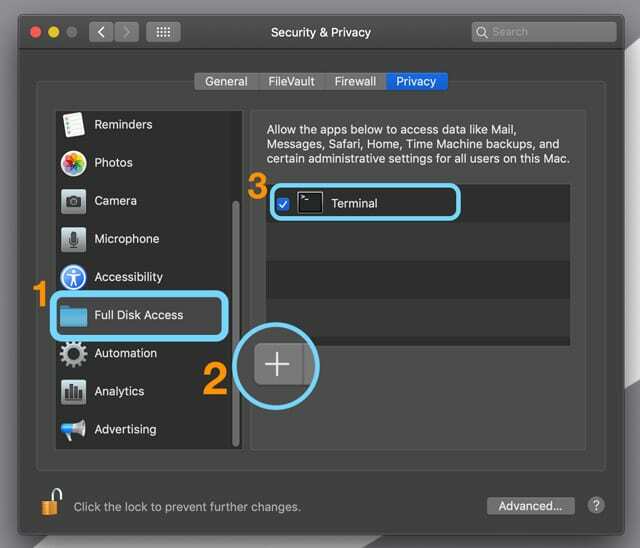 Before you use Terminal in macOS Mojave, you need to grant it full access to change administrative settings. This new process is due to Apple changing its level of security in macOS. When you grant an App (or Utility like Terminal) Full Disk Access, your OS adds it to a “whitelist” of applications that you determine are safe to work with sensitive data and system data. Once you grant Terminal Full Access, restart Terminal. You should good to go at this point! 1. Open your external drive and create a new folder for the backup. Name it MobileSync, or in a way you remember, such as “MyiPhoneBackUp.” Some macOS users found they HAD to name that folder MobileSync for this to work! 3. 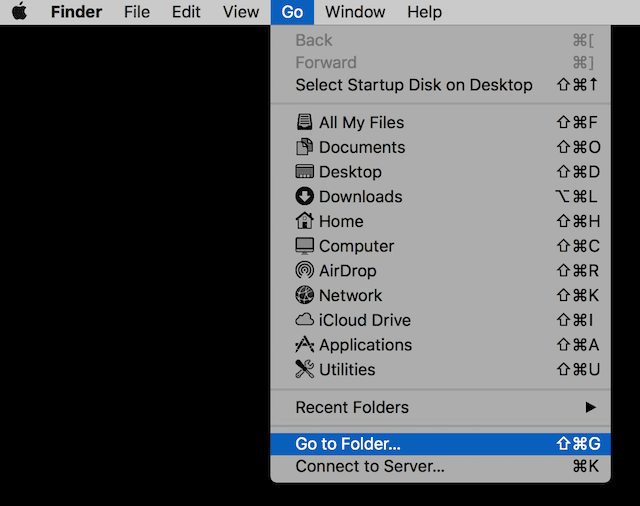 Select Go to Folder via Go > Go to Folder or Command+Shift+G. If all goes well, the backup file should now be on your designated external drive. Verify it is indeed there. 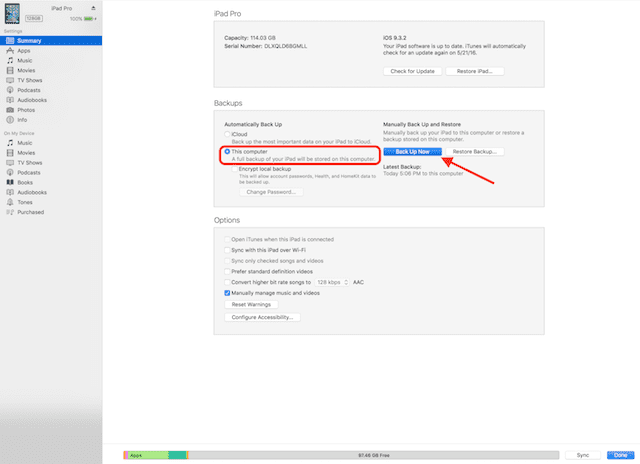 From now on, iTunes will back up your iDevice to the external drive so remember to connect it to your computer before you do a backup. If you do not have the external drive connected, the backup will fail. And if you need to restore your device from the backup, you’ll need to connect this external drive. Backup to External Drive Not Working? 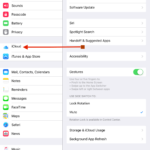 If you cannot modify where your iPhone or other iDevice backup saves, there is another option. 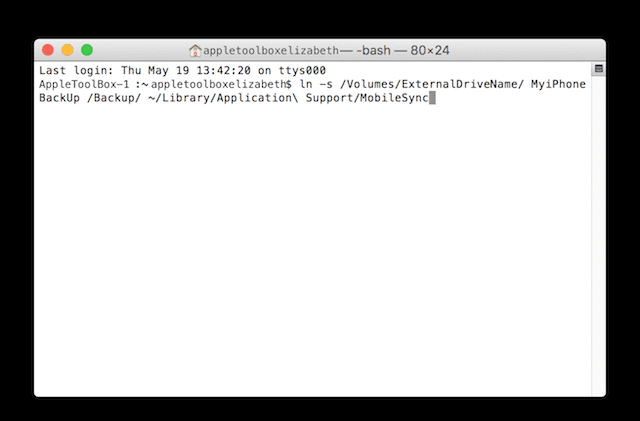 Instead of using Terminal, manually move your iTunes backup file to your external after iTunes creates it. Remember, that when you move this backup file, iTunes does not see it and creates an entirely new backup file each time. 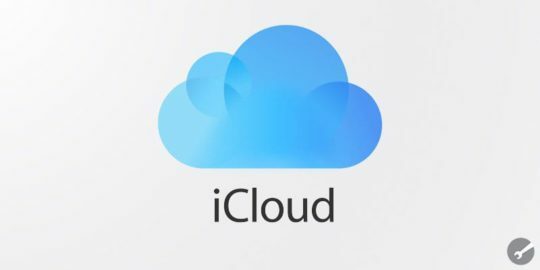 As always, at Apple ToolBox we recommend you retain a backup to the iCloud in addition to your iTunes backup, just in case something goes wrong. And preferably, you follow the 2X2 rule with 2 cloud backups and 2 local backups. It feels like a lot of unnecessary storage I know, but should the day ever arrive when you need it; you’ll be thankful you have those backups at the ready. Remember, this is your insurance policy, and we want comprehensive coverage. If the method above didn’t work for you, try redoing the process following reader Jingshao’s tips. Some readers need to add another terminal command between steps 10 & 11: 12. Thank you so much for this awesome tip. It worked with my MAC using Mojave 🙂 after trying everywhere and spending some 3h. Hello, thank you for providing this information as backups to an external hard drive seems like the best option for our family of multiple IOS device users. 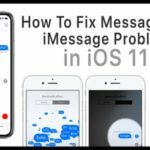 I’ve followed the steps and everything seems to be set up correctly, but now I’m getting an error message that the iTunes back up failed because there was a problem reading or writing to the iPhone. 1. Mac updated to latest Mojave and all iPhones have latest software. 2. Tried a different updated phone, same issue. Apple changed/added a layer of security in macOS 14. At last you use the + to add Terminal Full Access. Once you’ve granted access, restart Terminal and you’re set to go to change whatever you set out to change. Thanks, Helga for the update to security settings in macOS Mojave. When i put ln -s /Volumes/ExternalDriveName/ MobileSync /Backup/ ~/Library/Application\ Support/MobileSync into terminal i get Operation not permitted? Make sure you use an admin user account. Check your user settings in System Preferences > Users & Groups. 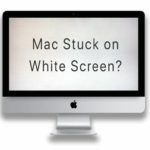 It may be useful to shut down your Mac and then log in to an admin account and try terminal again. I’m on the admin account? I am having the same issue, but I am definitely in my admin account (I only have one account and it has admin status). I even tried creating a new account that has admin status to try to resolve the issue but “Operation not permitted” persists. Any thoughts? Everything else seems to work fine! Please see Jason’s comment regarding updating the permission settings. And changing permissions makes no difference. 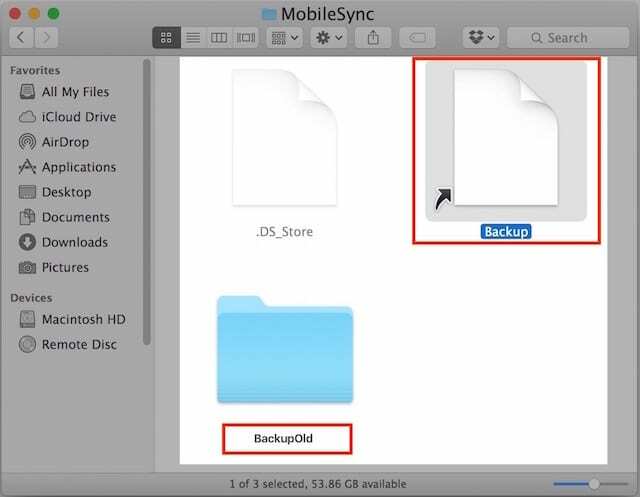 It seems like the problem is that if I follow the steps in order then I’ve just changed MobileSync/Backup to MobileSync/Backupold so of course that file wouldn’t exist. The folder backupOLD should only be used to store all your old data–not anything new. If you did name your external drive’s folder something other than MobileSync, try naming it that and see if it works following these steps. Update. It looks like I got this to work! It was a permissions thing. For my external hard drive I needed to press “Get Info” and then change the permissions to Read & Write for everything . Isn’t another option just to move your entire iTunes folder to an external drive? 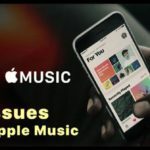 I tried the steps outlined in this article, but received the following error message form iTunes: “iTunes could not back up the iPhone “NAME” because the backup was corrupt. But I’ve deleted all those backups. 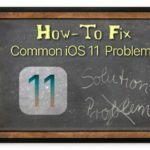 So, I guess these steps no longer work with the current OS and iOS? You shouldn’t see any error. If you see errors such as “Too many levels of symbolic links”, then your `ln -s …` command before somehow was typed wrong. Probably had an extra / at the end or something. It should not complain, and it should be ready for iTunes to use. I follow all of the steps and it seems to work, however, it keeps telling me that the back is corrupt and to delete it, however, I am trying to create a new back up. What should I do? What if I get a new iPhone and need to restore to it. Will it work to RESTORE from the external hard drive? I ask bc I am having trouble backing up to the Cloud and I want to make sure I have 1 hard backup. Some readers found that placing the backup files temporarily on their internal hard drive worked faster and more reliably. This process worked great for me and I can see that backups are now going to my external drive. However, iTunes now says that the my iPhone has never been backed up, and I have no way to restore from backup. Any ideas? We also discovered that keeping the names of your external drive and backup folder simple leads to fewer issues. Sorry that these steps aren’t working for you on the latest macOS/iOS updates. 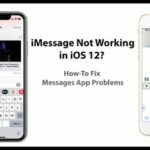 We’re looking into this problem and we’ll update the article (and let you know) when we find some solutions that work! Thanks for bringing this to our attention. Still looking into this problem. trying to figure out workarounds with no luck thus far. I look forward to the solution! I do not have room on my computer to backup my entire iPhone. That’s why I need to backup to an external hard drive. Is there an app out there that will do this? I’ve tried this multiple times. Every time I try it, Terminal responds with “file exists,” and there is no “symbolic link” in the Mobile Sync folder. I have hidden files turned on. What version of macOS or Mac OS X are you running? Also, when you say you have hidden files turned on, do you mean you are showing all hidden files? Sorry that the steps aren’t guiding you through the process. Please let us know what version of macOS or Mac OS X you’re running on your MacBook. With that info, we’ll provide you OS specific directions. Anyone got a solution or work-around ?